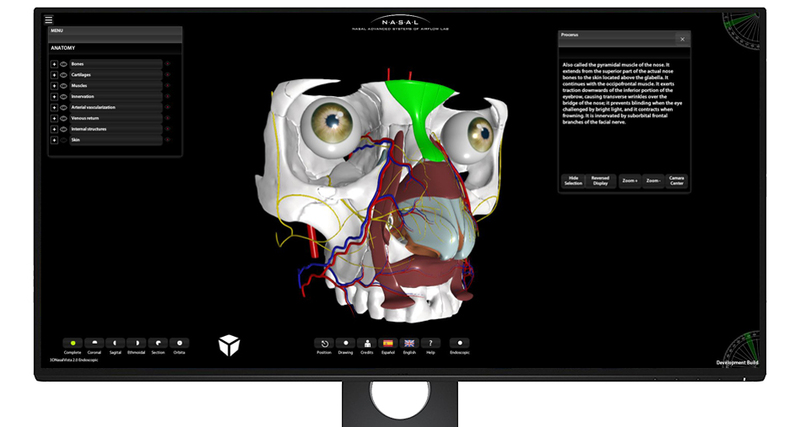 3D Nasal Vista 2.0 is a desktop application that allows a three-dimensional visualization of the nostrils, providing a detailed anatomical knowledge of the complex structures that compose them. Its visual capability allows the user to have a new experience in the anatomical identification of the different elements, as well as being able to interact with the model from all possible angles. 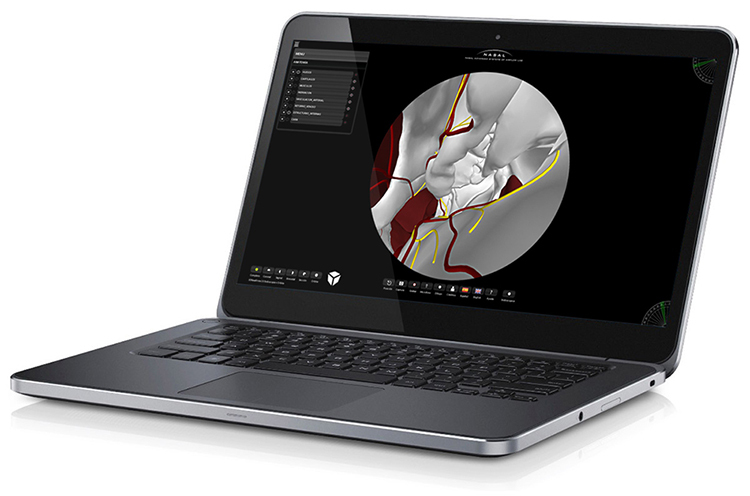 The program offers a new visualization option simulating an endoscopic view of the nasal cavity, offering a highly valuable visual training of great utility in endonasal surgical practice.